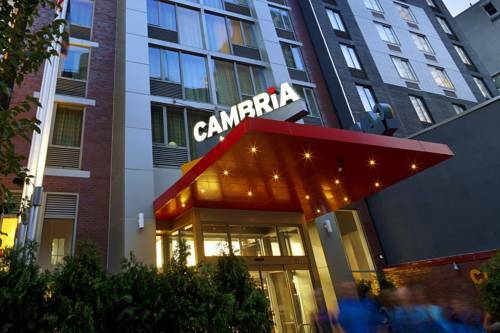 You are always a VIP at our smoke-free Cambria Hotel and Suites New York - Chelsea located in the Flower District. Nearby destinations include the Empire State Building, Madison Square Garden, Central Park, Times Square and Rockafeller Center. Google, Goldman Sachs, American Express, AOL Time Warner and Bank of New York are also close. Take advantage of our business center and meeting rooms, fitness center, our Social Circle bistro and full-service bar. Modern rooms offer flat-screen TV, refrigerator, microwave, hair dryer, private bath and sofa sleeper. Also, earn rewards including free nights and gift cards with our Choice Privileges Rewards program.